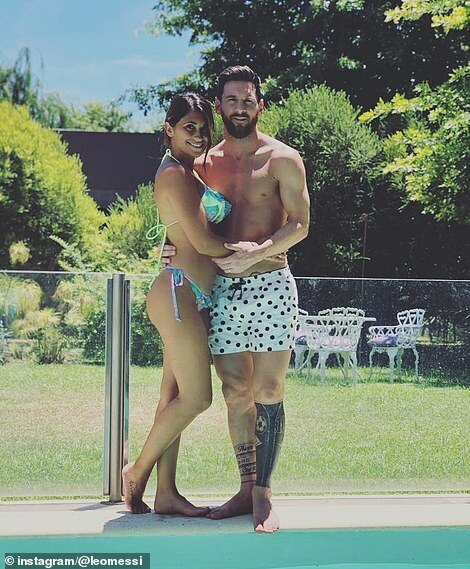 It's not been so much warm-weather training but more warm-weather relaxing for Lionel Messi at Christmas. The Barcelona No 10 took advantage of La Liga's winter break and headed home to Rosario in Argentina where temperatures were in the mid-20s in what is summer time in South America. Messi has always had his critics back home, accusing him of not loving the country of his birth, but whatever the circumstances of the season he always goes back to Argentina for the festive period and this year was no different despite the fact that Barca coach Ernesto Valverde gave the players just a one-week break between the last fixture of 2018 and the first of 2019. That mythical month off, winter shut-down, is actually rarely more than a fortnight in Spain and this year most of the Barcelona squad were away for just seven days. Barcelona played their final match of 2018 on Saturday, December 22, and Messi flew to Argentina after the game. He and the other South American players spent both Christmas and New Year at home before their return. For Messi's European team-mates training began again last Sunday, a week ahead of the return to action away at Getafe this Sunday, January 6. 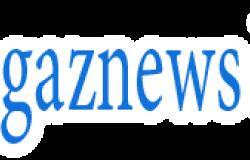 Messi and fellow South Americans Coutinho, Suarez and Malcom have been given special dispensation to spend New Year in their home countries and are back in training on Wednesday, January 2. That means that by Friday all the players can make their annual hospital visit in Catalonia brining sick children presents ahead of the traditional January 5 gift-giving 'Kings' Day' and they will also all be in place for the annual open training session in front of supporters at the club's mini stadium. 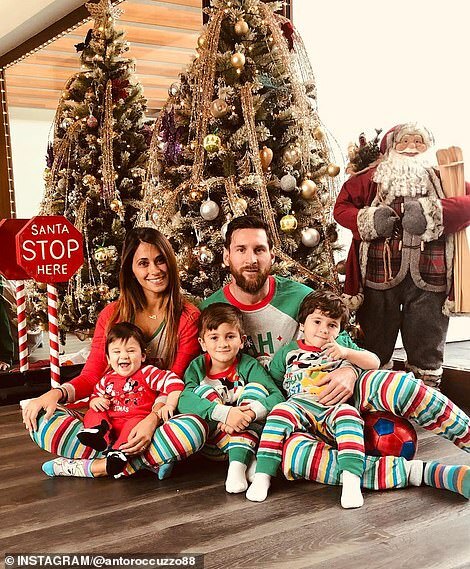 It was a short break for Messi despite the fact that the team is not involved in action until the first Sunday of the new year but there is a trade-off for the reduced time off. With only seven days away the club don't send the players off with a lengthy dossier full of home training regimes, diet plans and a strict work out strategies. Messi and company were told that the most important things are rest and complete disconnection. Messi often spends part of his summer break in home training in Catalonia. He has a mini-pitch in his back garden on the Costa Brava and has been filmed by wife Antonella before, doing rainbow kicks over his huge dog Hulk to cheers of approval from his watching elder son Thiago and Mateo - but his time in Rosario can be dedicated to rest and recuperation ahead of the second half of the season with Barcelona in good form in the Champions League and top in the domestic competition.